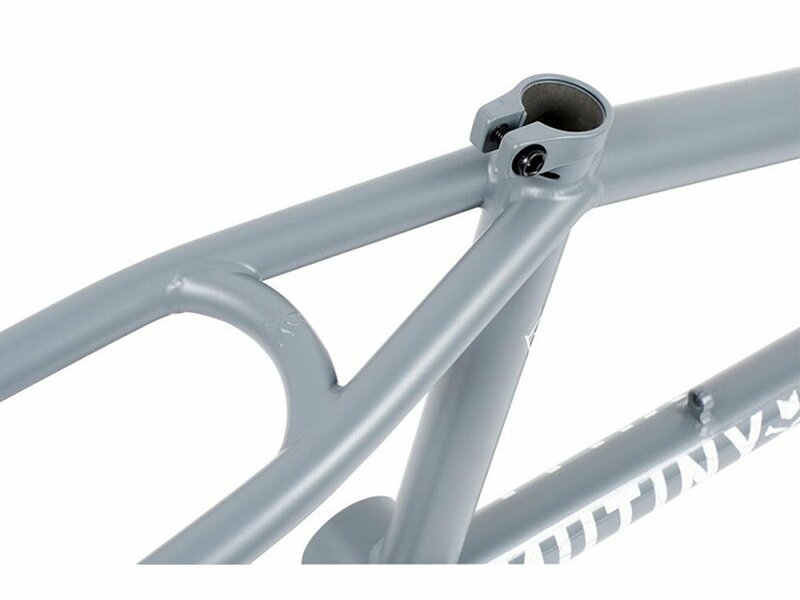 The Mutiny Bikes "Villij" BMX Frame is Robbo's signature frame and comes in the best Mutiny quality made of 100% Sanko 4130 CrMo tubing. This framework is special and contrary to the currently trend equipped with welded U-Brake sockets on the lower rear stays. 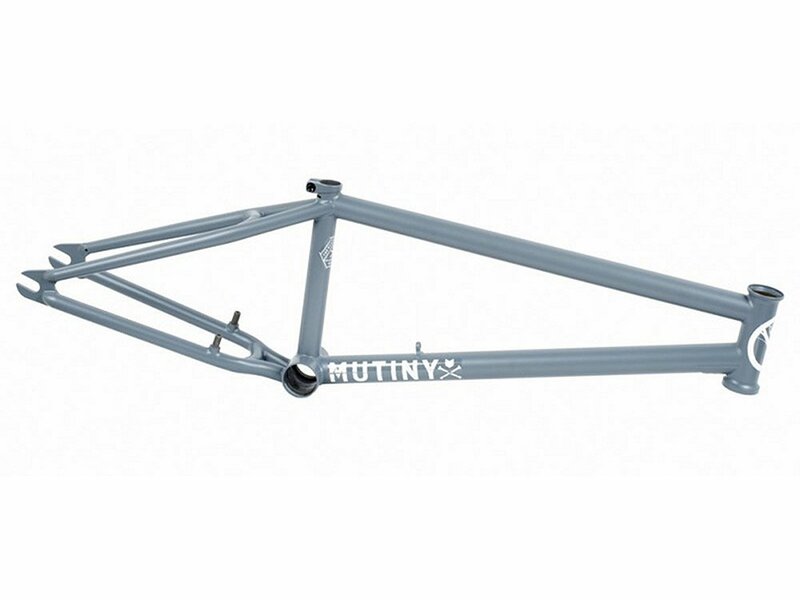 The long top tube and a bit lower designed head tube angle paired with a longer rear end makes this Mutiny Bikes "Villij" BMX Frame ideal for dirt and ramp riding. 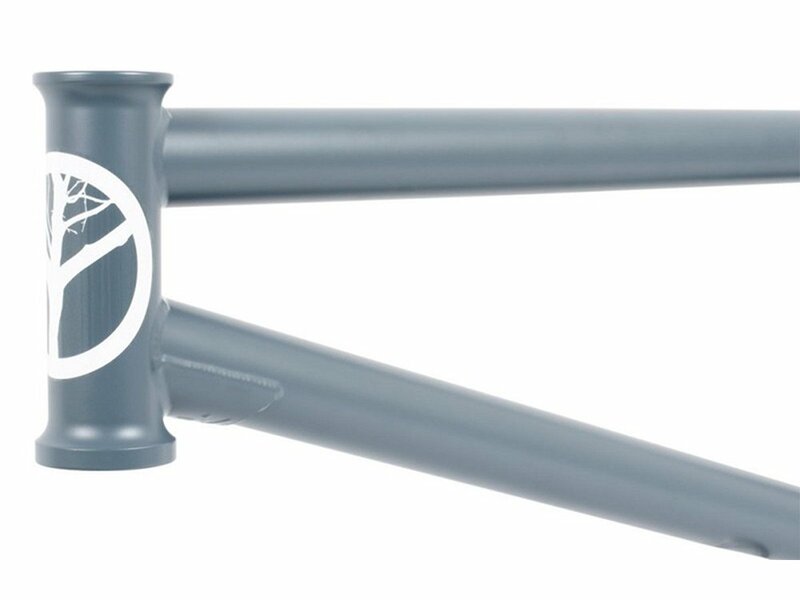 The frame includes a removable investment cast seat clamp and has a simple but nice and clean looking all-over design. Top Tube (TT): 20.75", 21"
Chain Stay (CS): 13.6" - 14.1"